We offer a wide range of hotels near Derby County from cheap accommodation to up market luxury hotels. Search our database of hotels to find the lowest rate for your stay closest to Pride Park Stadium. Just 10 minutes’ walk from Derby town centre, Holiday Inn Express offers modern, bright rooms with private in-room bathrooms. A hot buffet breakfast is available to all guests. Located just 10 minutes from Derby’s city centre, this grade II listed Art Deco building offers comfortable rooms and hearty full English breakfasts. It has a bar, free parking and free Wi-Fi. Hallmark Inn offers modern accommodation 2 minutes’ walk from Derby Rail Station. It has a lounge bar for guests to relax in, and offers free WiFi. The rooms all have their own bathroom, and offer a 32-inch flat-screen TV with Freeview channels. 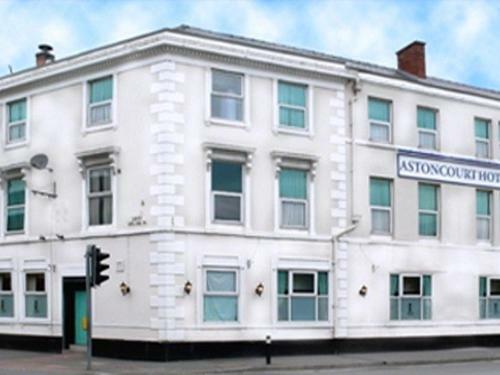 In the heart of Derby, this modern city-centre hotel offers free Wi-Fi internet access and friendly service. Derby Train Station is a brief walk away. Directly opposite Derby Railway Station, Hallmark Hotel Derby offers luxury bedrooms and an innovative Brasserie restaurant. Set in a historical building and secluded gardens, the hotel offers free WiFi.